I would not be the same person I am today if The Simpsons had never existed. I truly believe that. The influence of that cartoon has rippled through my life, my humour, and my general attitude towards everything. It has made me a healthy cynic with a dash of naive optimism, a half-cup of faith in humanity, and two parts realisation that everything about life is hilarious and dumb (although apparently its taught me nothing about measurements). Having been on the air since before I was on the air of existence, the Simpson family have literally been constants throughout my entire life. In the first of a possible series of retrospectives, I’m going to look back on season 1 of The Simpsons. I am of the persuasion that The Simpsons has now been a bad show longer than it was a good one (although admittedly I still enjoy a handful of episodes from seasons 13 and 14), but I’m not here to argue about that. I’m here to talk about the merits and faults of The Simpsons’ maiden voyage as a half-hour animated sitcom. Most of you probably know season 1 as “that season where Homer sounds different” or “the one where the opening titles are different” (but not HD different) or “meh.” It’s true that the first season with our beloved American family does not hold up as well as the nine or ten that followed, but I feel like there’s some interesting aspects to explore. The writers may still have been getting to know their main characters, but the world around them was definitely beginning to take shape and Springfield was becoming the hell of a town we know today. Season 1 (1990) was a transitional season. The Simpsons began as a series of short animated sketches on the Tracey Ullman Show in 1987. Once it was picked up for series by Fox, a relatively small network at the time, the first season of the show was plagued with animation problems. The season finale, “Some Enchanted Evening”, was originally intended as the series premiere. However, when it was screened for the producers and Fox executives, the animation was so terrible that 70% of the episode was deemed unusable and the episode was pushed back. Had the next episode produced, “Bart the Genius”, had as many problems as Evening, the entire show would probably have been scrapped and I’d likely be a humourless schmo working in a box factory. Swartzwelder has become somewhat of a mythic figure among Simpsons fandom. Due to his famed reclusiveness, many fans doubted his existence for years and suspected his name was a pseudonym other writers used when they did not want a writing credit for their script for whatever reason. But Swartzwelder is very real, and was a writer for the Simpsons for 14 years. In those 14 years, he wrote more episodes than any other Simpsons writer, a whopping 59. And have a look at the list – they’re all goodies. Swartzwelder’s scripts always had the least rewrites done on them. Reportedly, around 50% of the final episode would remain as he had initially written it (which is a huge percentage in the rewriting culture of American sitcoms). The only thing Swartzwelder did more than write was smoke, and he was so well regarded among his co-workers that, when the writers’ room imposed a smoking ban in season 6, he was allowed not to attend rewrite sessions with the other writers. He would simply send drafts of his scripts from his home. 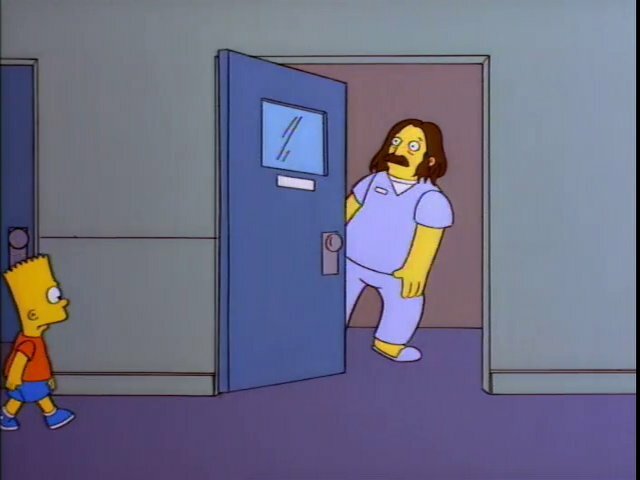 And speaking of his home, according to Matt Groening, when writing episodes, Swartzwelder would sit in a booth in his favourite coffee shop, drinking endless cups of coffee and smoking cigarettes. When California imposed anti-smoking laws, Groening claims Swartzwelder bought the booth from the coffee shop and installed it in his home to continue his writing process in peace. The stars truly aligned, and this talented crew of writers and producers laid the foundations for what would become The Simpsons‘ trademark storytelling and humour. It wasn’t just the human beings involved, though. The relatively small size of the Fox network at the time ensured the writers’ creative freedom would not be compromised. Indeed, James L. Brooks negotiated a clause in the contract that Fox would not interfere with the shows content. This was huge, and never would have happened on any of the other big three networks at the time. The Simpsons may not have lasted on any other network, and certainly would not have become the behemoth of witty, unrestrained comedy that we know today. But it was on Fox, and it had a talented creative team, and it did become the show we know today. So let’s explore season 1, both as a piece of television, and as a season of The Simpsons as a whole. 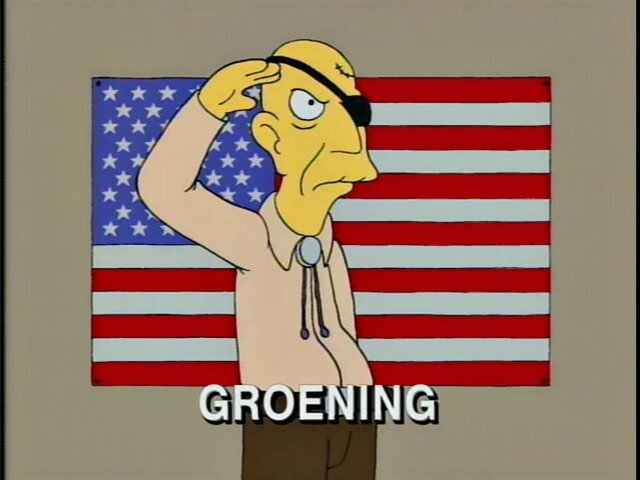 Groening intended the show to be an alternative to the “mainstream trash” he claimed most people were watching at the time. There was certainly nothing else like it on the air in 1989. Animation was considered a lesser form of the medium of television, and certainly not something aimed at adults. Many guest stars in the early seasons of the Simpsons would not use their full names or, on some occasions, their real names as they viewed working on a cartoon as a step down from live action (Albert Brooks, for example, who had two guest roles in season 1 was simply credited as “A. Brooks”). With its first season, the Simpsons began to change public attitude towards animation. The show still appealed to children, of course. Bart’s status as a breakout character instigated the “Bartmania” phenomenon, where Bart Simpson merchandise made an estimated $2 billion in the first 14 months of sales. The character sparked controversy as many viewed him as a bad influence on children, promoting underachieving and bad behaviour. But The Simpsons completely changed the landscape of animation aimed at adults, and paved the way for the countless grown-up cartoons we have today. 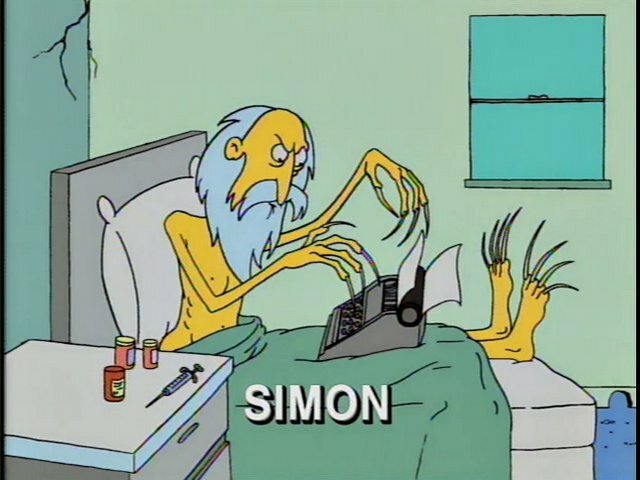 It was under Sam Simon’s influence that The Simpsons set out to be a comedy driven by and about character – the characters of the individual family members, and of the average American family as a whole. This was in opposition to shows driven by a string of gags and jokes, as Simon viewed many sitcoms at the time. The main characters in the show were certainly big, though not yet fully realised. One of the first things one will notice when viewing certain episodes from the first season of the Simpsons is how the characters’ personalities differ from the ones we’d come to know in later seasons. The episode “There’s No Disgrace Like Home” is a great example of this. Lisa, a soft spoken, thoughtful, and sensitive character in later seasons, comes across in this episode as bratty and undisciplined, much like her brother. And Homer and Marge completely reverse the roles they would later take on. Marge gets drunk at a party and is inattentive to her children, and Homer is the level-headed voice of reason. He even sells the family TV in this episode, something the Homer of later seasons would scream in terror at the thought of. 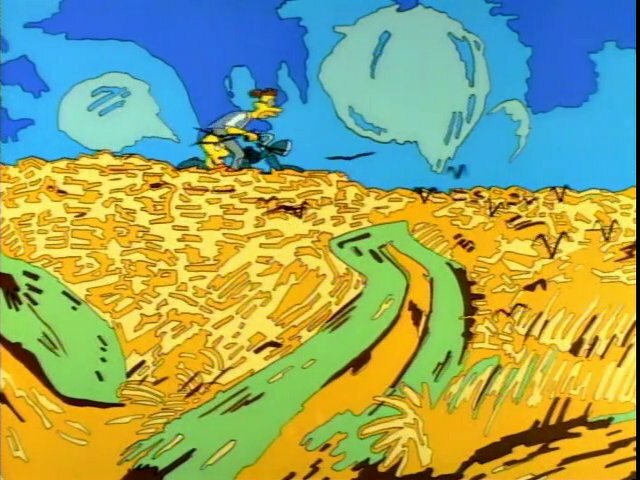 There’s plenty of the Simpsons’ signature humourous sentimentality sprinkled throughout the season too. This is evident from the very first episode aired, the Christmas special “Simpsons Roasting on an Open Fire” (written by Mimi Pond, her only writing credit for the show). It’s a sweet episode (and notably more grounded in realism than the rest of the season) that powerfully potrays Homer’s love for his family, and his willingness to make sacrifices for their happiness. 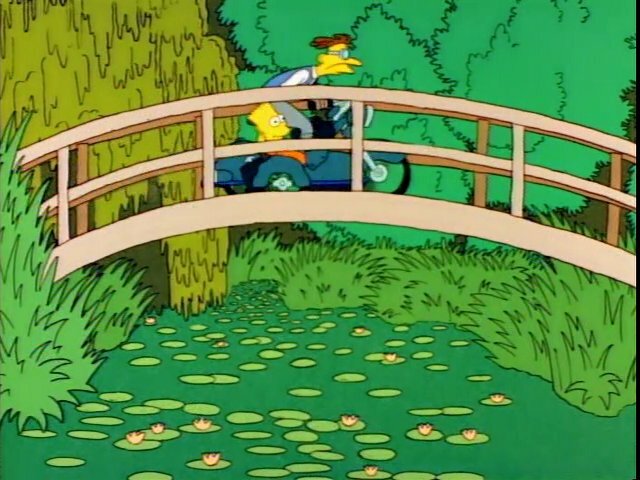 When Bart discovers his father has been working as a mall Santa to secure some money for Christmas presents for the family, the boy tells Homer “You must really love us to sink so low.” This one line perfectly showcases the Simpsons’ uncanny ability to mix mushy emotions with a humourous outlook on a serious issue, in this case the lengths a father will go to for his family. With “Moaning Lisa”, the entire episode deals with Lisa’s despair at the state of the world and her resulting depression. The episode culminates in a very emotional and sweet moment between Marge and Lisa, with the former encouraging her daughter to feel her feelings, to be sad if she is sad. This compassion and validation is exactly what Lisa needs to feel better. It’s a lovely moment that conveys an important message, and shows the Simpsons doesn’t always have to be “jokey” to get to the moral lesson of the episode. The writers’ sense of art and love of pop culture is evident throughout the season too. In “Bart the Genius”, Bart’s visualisation of a math problem is inspired by the art of Saul Steinberg. “The Telltale Head” is, of course, a reference to Edgar Allen Poe’s The Telltale Heart. There are scenes in “The Crepes of Wrath” that pay homage to famous paitings by Monet, van Gogh, and Manet. 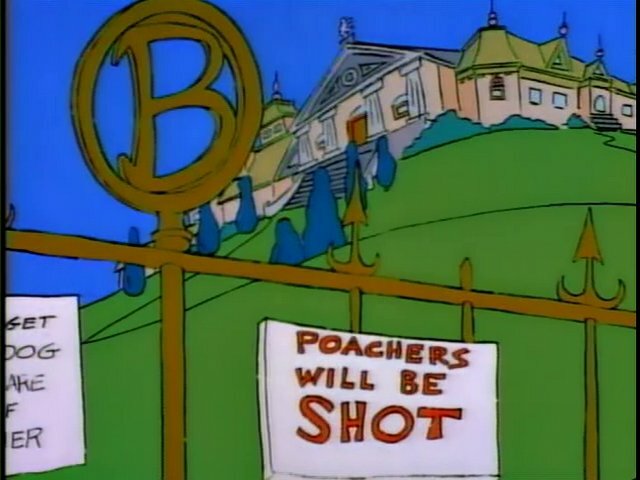 The Simpsons would also become famous for its excellent visual homages to film, and these began to appear in season 1. In “There’s No Disgrace Like Home”, Burns Manor is made to resemble Charles Foster Kane’s mansion from Citizen Kane. “Bart the General” contains nods to Stanley Kubrick’s Full Metal Jacket. 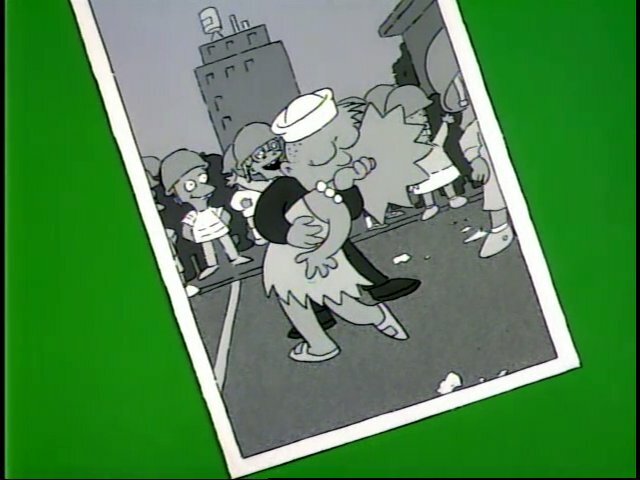 The episode also contains a parody of the V-J Day in Times Square photo. Overall, it’s clear from the get-go that the Simpsons was already shaping up to be the classic cartoon it would become. Transitioning from the short sketch format of the Tracey Ullman Show, the animation, main characters, and writing were still finding their footing. But there’s still so much to love and appreciate about the first season. Its success on a commercial level was apparent too – it was Fox’s first show to rank in the top 30 overall TV ratings, and the first season was nominated for five Emmys, winning one (Outstanding Animated Program for “Life on the Fast Lane”). The jump in quality of the writing and humour between the first and second seasons is astounding, and by season 3, it had already arguably entered its golden era. But season 1 is still worth our time and consideration, and I strongly encourage you to go back and watch it – you’ll see the foundations of what was to come, and you might even laugh out loud a few times. Join me for my retrospective on season 2, which I’ve decided I will definitely write…when pigs fly. David O’Shea is a Toronto-based writer from Ireland. He likes long walks on the beach and clichés. He can be found not using Twitter @davidoshea1, he’d rather you just watch this video.